Touch an actual dinosaur bone at this eclectic trove of Rocky Mountain treasures. This tiny, curiosity-filled museum packs a trove of dinosaur treasures within its walls. The highest point in Montana is as rugged and singular as the state itself. 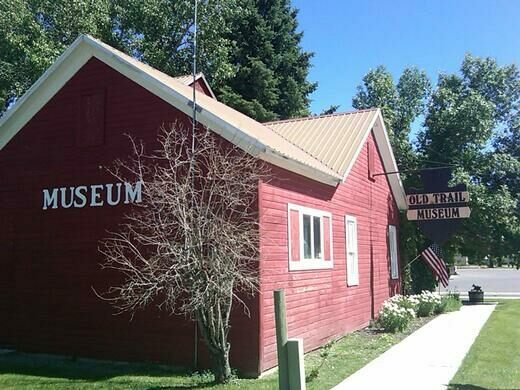 The Old Trail Museum’s intriguing collections tell the story of Montana’s history, spanning from its long-extinct reptilian residents up to its more modern human inhabitants. The whole museum is basically a miniature snapshot of the landscape’s past. Fossils and fiberglass dinosaurs let visitors imagine the behemoths that once roamed the region. The museum even has a “touch” bone, which gives people the chance to not just see, but also actually touch a thighbone from a duck-billed dinosaur. You can also find pieces from the recent past. A macabre specimen on display is the human skeleton from the Hudson Bay Company, which is peppered with arrows. There’s also an exhibit on the town’s last public hanging. There are less grisly exhibits, too. 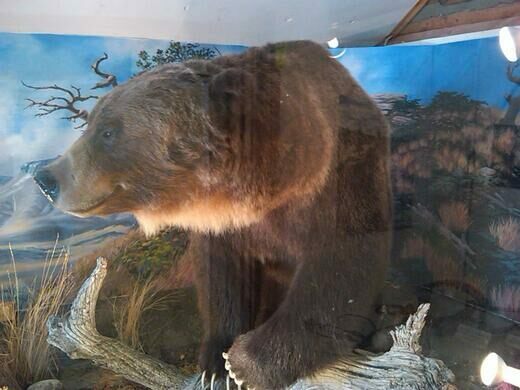 Taxidermy grizzly bears tower within a building in the museum complex, letting you get an up-close look at the animals’ staggering size. Native American artifacts speckle the shelves of another exhibit, and a replica of a 19th-century cabin provides a glimpse of how the European settlers lived amid the mountainous land. 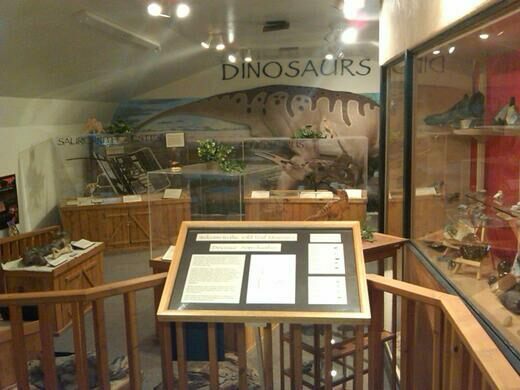 The Old Trail Museum is but one stop on Montana’s “Dinosaur Trail”, a paleontological byway composed of 14 dinosaur museums and field sites that offer plenty more opportunities to learn about Montana’s vivid pre-history. The museum is only open from Memorial Day weekend through Labor Day. The shortest river in America flows for just 201 feet.